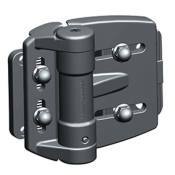 1) Self Closing Hinges - Self closing hinges like the D&D TruClose Mini Multi-Adjust are spring loaded. They are manufactured to automatically close your gate. 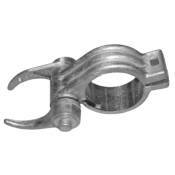 2) Spring Gate Closer - A spring gate closer is a metal spring that attaches to your gate and gate post. They are a good way to create a self closing gate when you already have hinges in place. When you push open the gate, the spring stretches and creates enough force to pull the gate closed. Gate springs are often used to close wood and ornamental gates that have basic strap hinges. June 13 2011 - Signet Fence announced today that it is featured in a Symantec case study on the company’s successful use of the VeriSign Trust Seal and SSL Certificates. 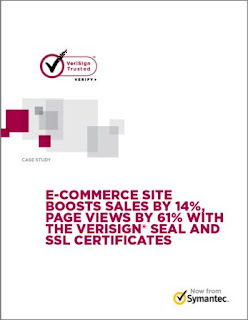 Specifically, the study discusses how Signet Fence was able to improve nearly all online metrics, including a 61% increase in page views and a 14% increase in sales, in the month after deploying the VeriSign Seal to its online fence store. Signet Fence sells a wide selection of high quality, professional-grade fencing and railing products and supplies direct to consumers. The company also provides comprehensive educational resources on its web site http://www.signetfence.com, and expert phone support to assist do-it-yourselfers in choosing and purchasing their fence online. To view the pdf case study, click the image below.